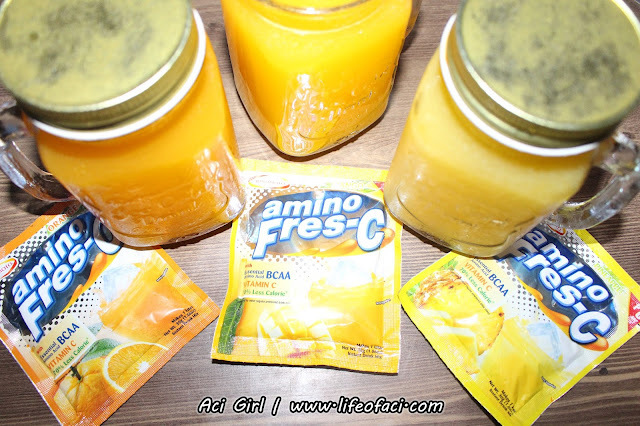 How to De-Stress our Kids from School? But I tried my very best to instill the value of diligence and patience. As much as possible ayoko nang bugnutin or moody na bagets :P I tried talking them out whenever naiinip/naiinis/ or galit na sila. Feed them with knowledge that can also widen their understanding and sharpen their minds. Be involved in their school life, like checking their assignments/projects etc. Also be mindful for any emotional or physical traumas they might stumble upon to. 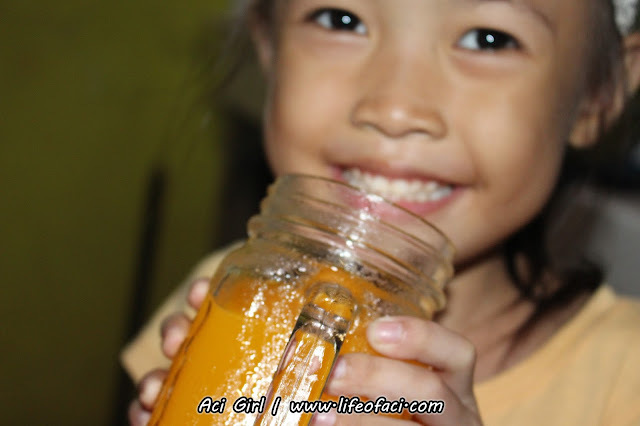 Let them join extra curricular activities that can help them boost their self-esteem and develop a healthy body. 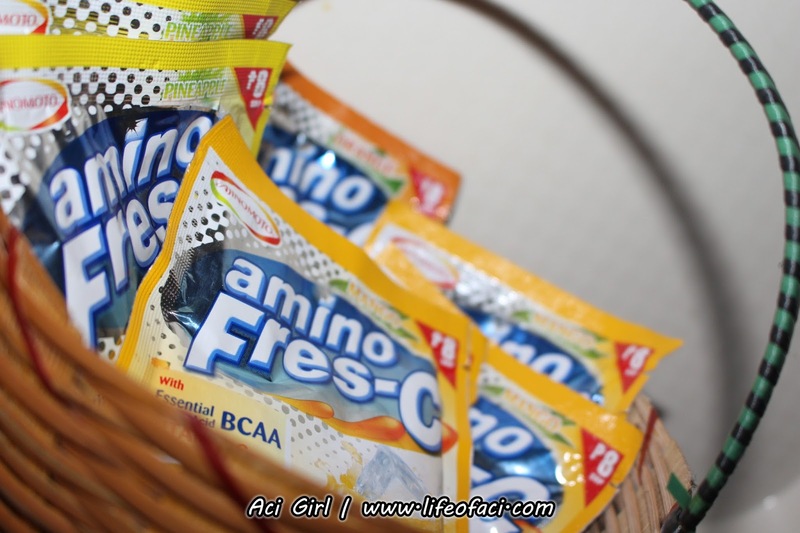 Wouldn't it be nice if we would prepare something eye poppin - jaw dropping treats pambaon to our kiddies :) Let me introduce to you AMINO FRES-C an instant (powdered) juice drink mix from Ajinomoto. Eye poppin for that bright colors and jaw droppin for super fruity tasting drink! 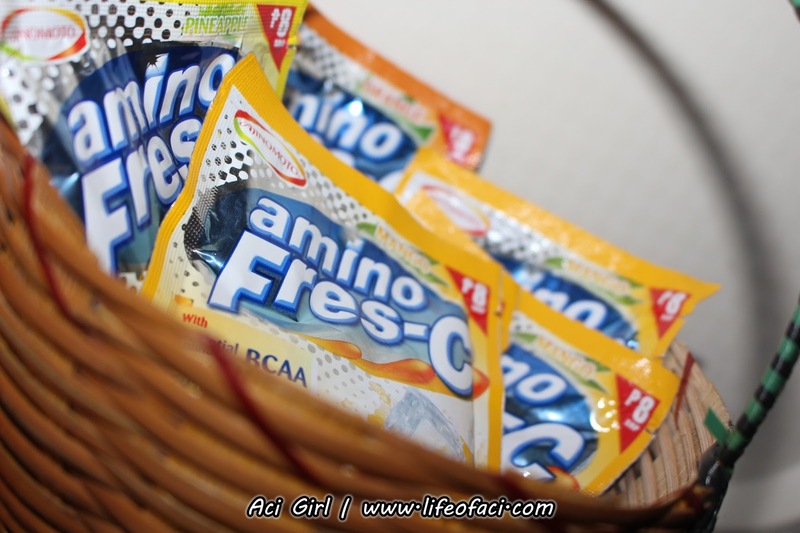 The New Amino Fres-C is a great addition to our kids daily baon for school. Amino Fres-C is the only powdered juice drink that is packed with Branched Chain Amino and Acids (BCAA) with Gluthamine and Arginine. These specific amino acids were the building blocks of protein that maintain energy levels, supports muscle growth and repair, and toughen immune system making this drink 70% less calories compared to other powdered juice brands, so they get to enjoy real fruity taste of its Orange, Pineapple, and Mango. At first, upon looking at it I thought it's just another powdered juice drink to mix with water... 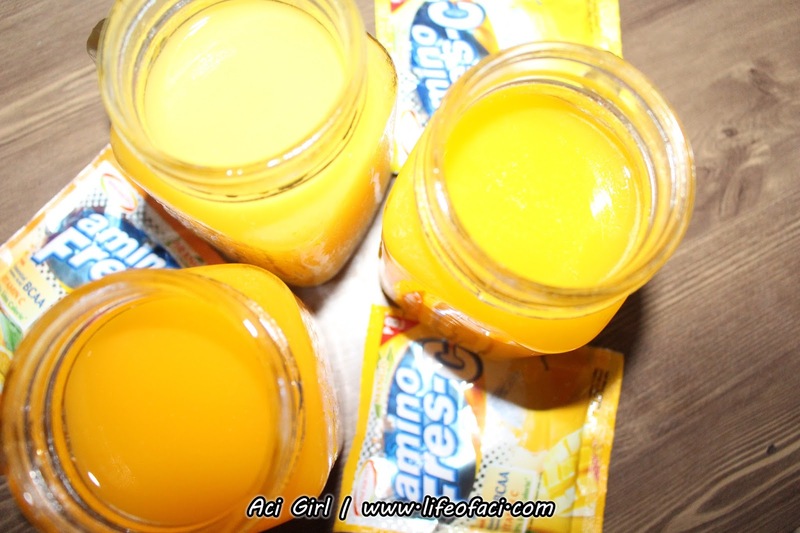 But the moment I've tasted it... ay may naisip ako na iba :P and I say KABOG!!! 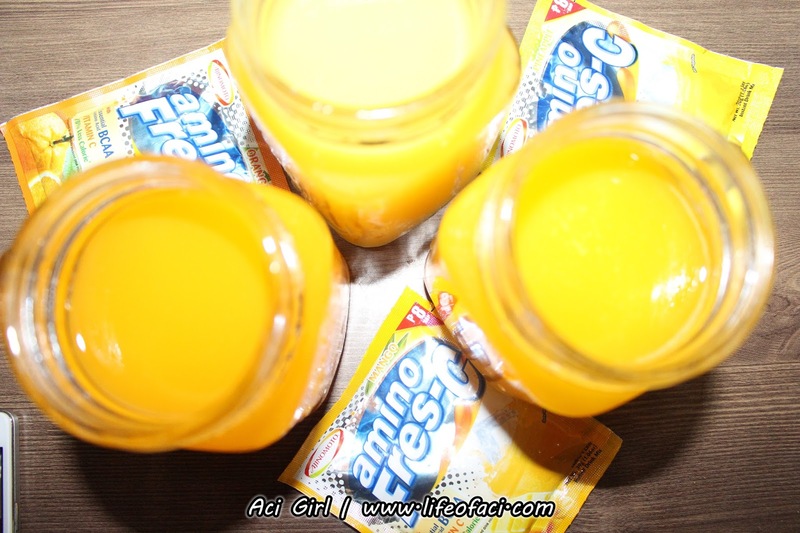 I super love the orange flavor kasi sanay na tayo sa lasa ng mga litro pack juices na iba iba lang ang name pero halos same sa lasa. 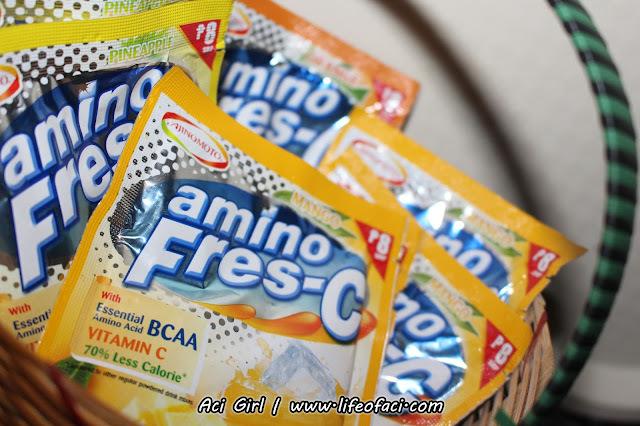 Pero sa Amino Fres-C... hay... real ang fruity lasa., not the usual taste na nakasanayan :P Even my sister said manggang-Mangga yung Mango!!! R: it's good, I like mango!